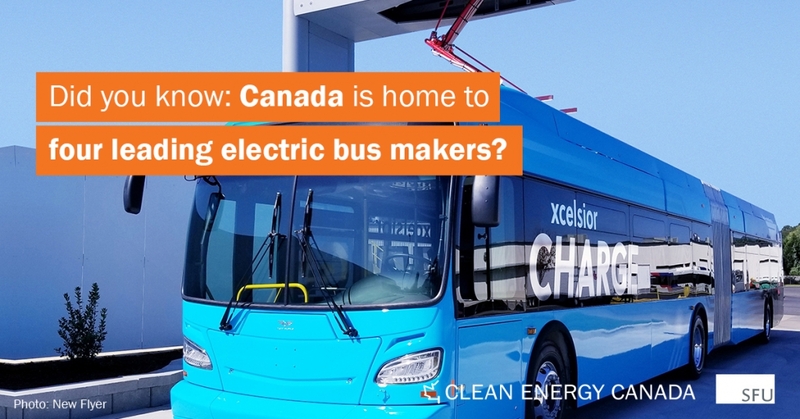 Will Canada miss the (electric) bus? 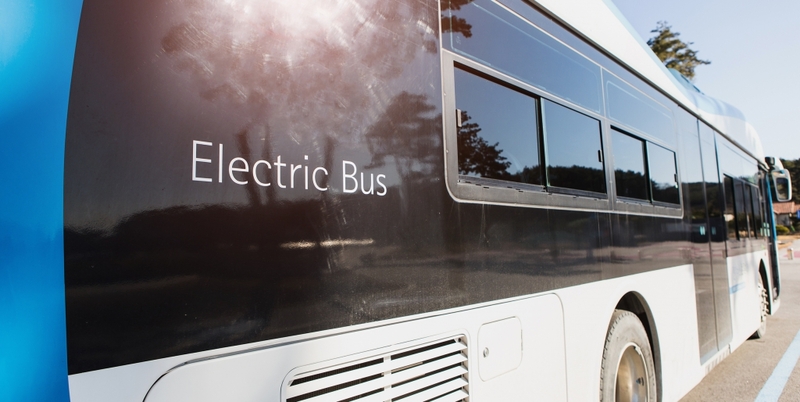 VANCOUVER — Canada has an electric bus problem. 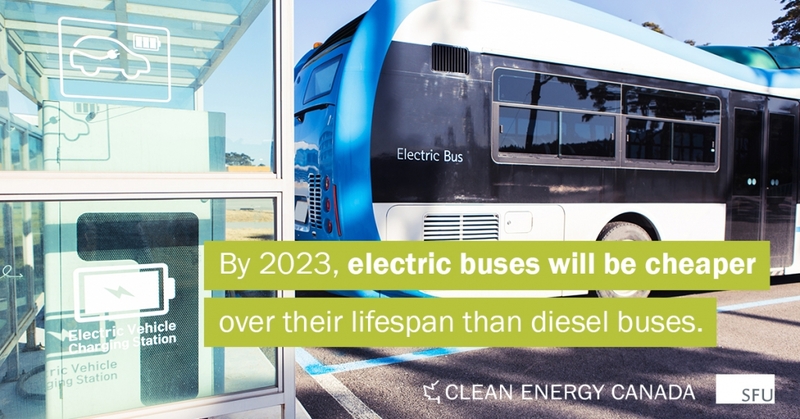 Electric buses are making a real—and rapidly growing—dent in emissions: as reported earlier this week, electric buses will displace 270,000 barrels of diesel a day by the end of this year. 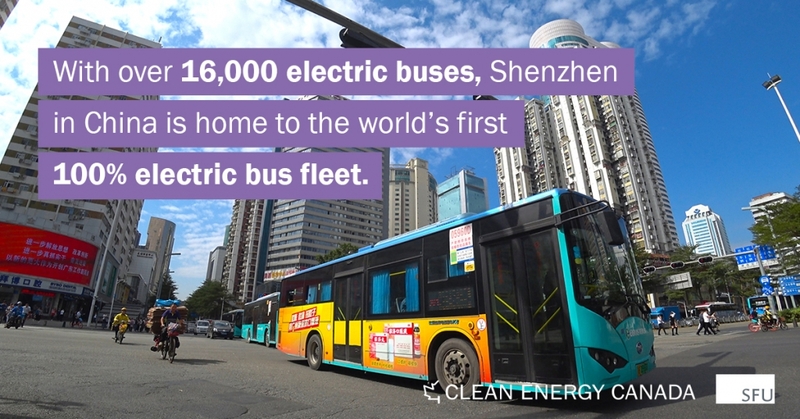 Canada has relatively few electric buses on its roads—especially compared to the 16,359 fully electric buses in Shenzhen, China, or even compared to the approximately 100 electric buses in L.A.—but there are signs of leadership at home. 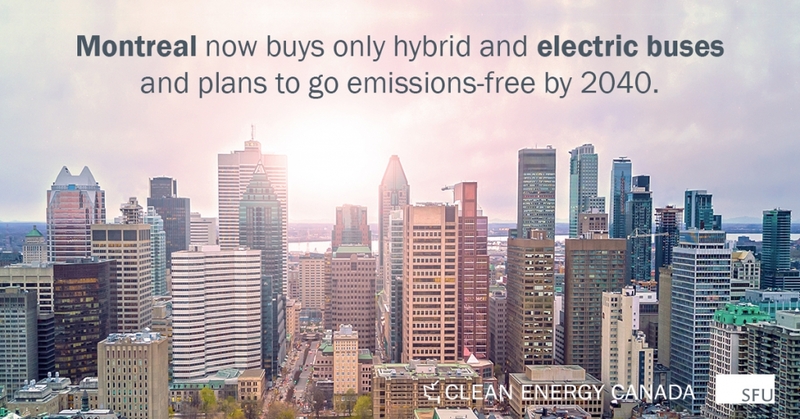 Montreal, for example, has committed to providing 100% zero-emission transit by 2040. 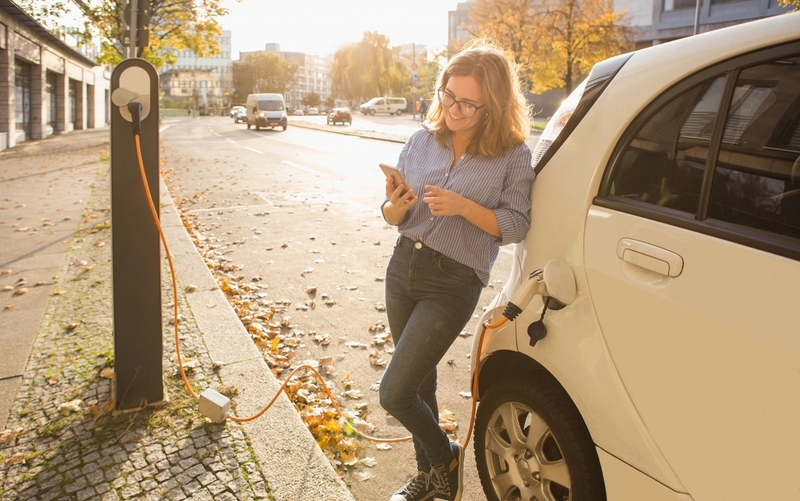 Though it is just a start, the $2.2 billion in Tuesday’s budget earmarked for infrastructure funding—including transit—is an opportunity to accelerate Canada’s transition to electric buses. 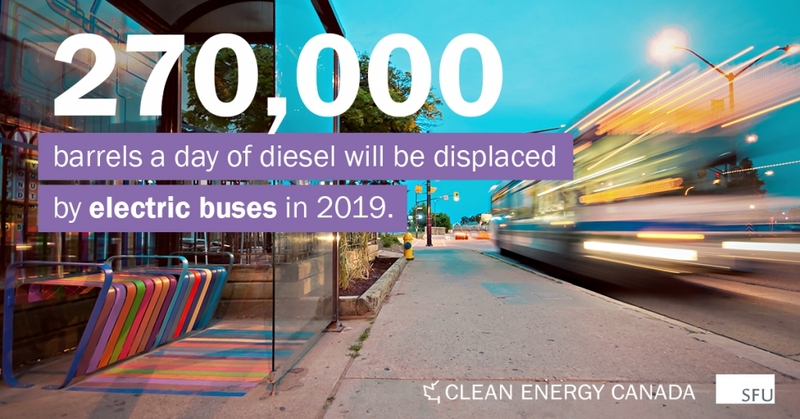 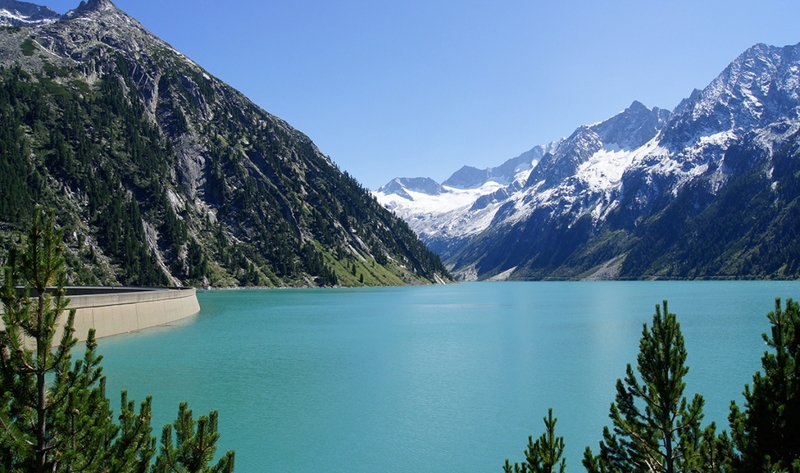 Clean Energy Canada’s new report, Will Canada Miss the Bus?, delves into the current use of electric buses at home and around the world, exploring the opportunities they present for Canadian manufacturers, transit operators, and riders. Merran Smith, executive director at Clean Energy Canada is available for interviews.